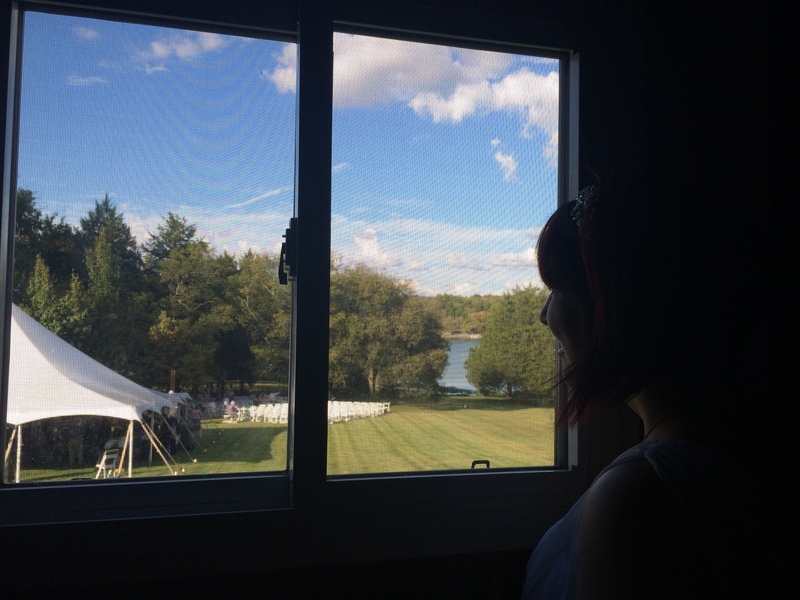 When we decided we wanted an outdoor wedding, we knew we’d need a backup plan or three. We were going to have a tent, no matter what, and in the worst case scenario we could do the ceremony and the reception under the tent. It wouldn’t look as cool, but we’d all be dry. So that was Back Up Plan B. Plan A was that our ceremony would be down my parents’ backyard, facing the lake. But that was only if it didn’t rain. So we researched the driest months in Tennessee, and historically September has the least amount of rain compared to any of the other months. So September it was. 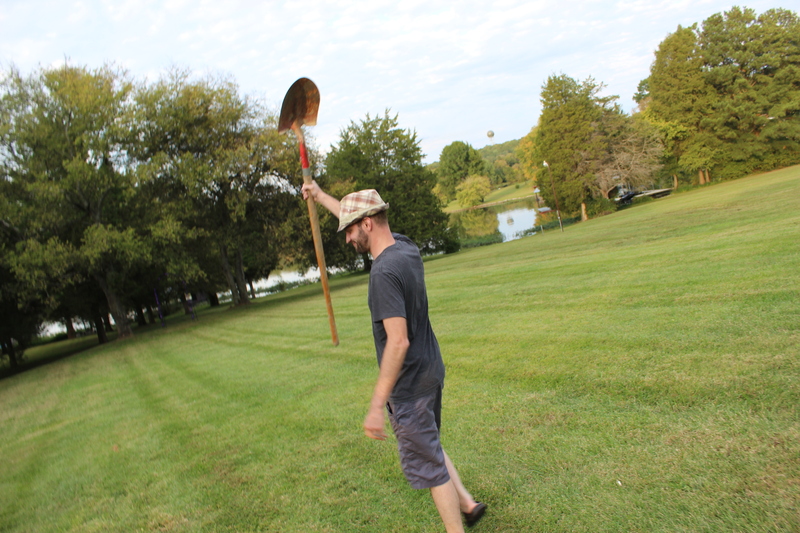 But then I read about a fun southern tradition called Burying the Bourbon. The tradition is very specific. The bourbon must be new and unopened. You must bury it on the property where the wedding will take place. It must be buried upside down. Exactly one month before the event. 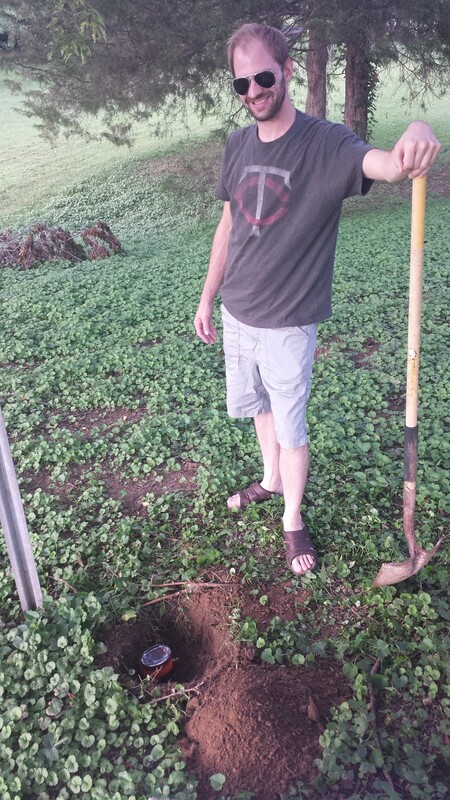 Luckily, we were getting married on my parents’ property and they were cool with us digging a little hole and burying a bottle of bourbon. 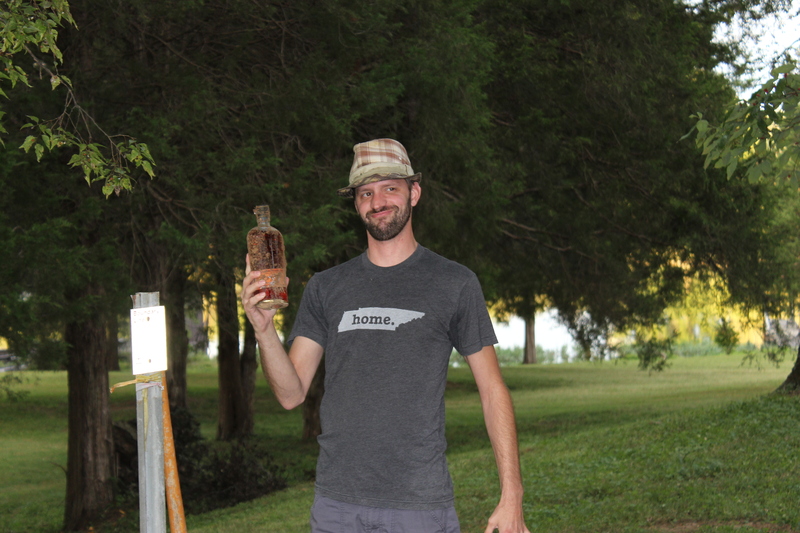 The tradition wasn’t specific on the size so we got a decent sized bottle. Figured it wouldn’t hurt to go bigger! 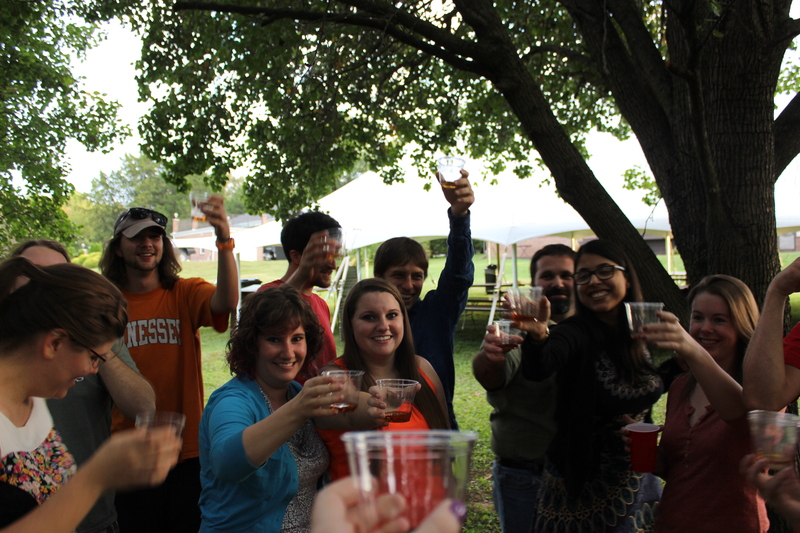 More bourbon for the rain gods! 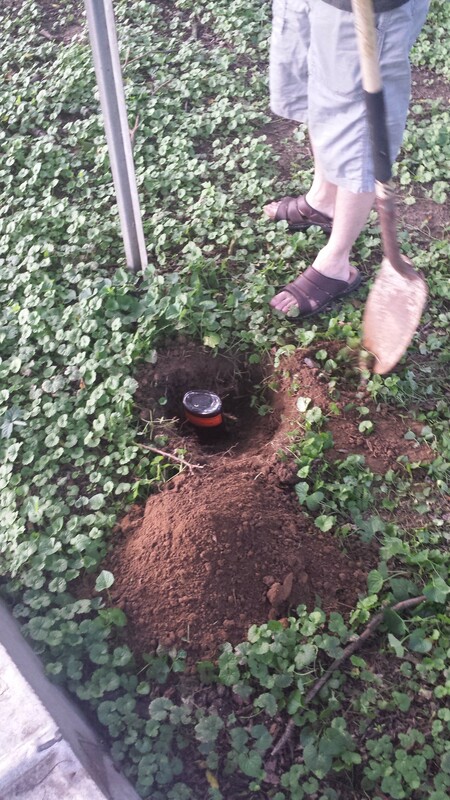 So the evening of August 27th, we dug a hole and put the bottle upside down in the ground, crossing our fingers and toes that the Rain Gods would appreciate our taste in bourbon and give us sunshine on our wedding day. Fast forward to one month later. September 27th. Clear skies. High of 80 degrees. 0% chance of rain. Thank you, southern tradition, for your weird and wacky ways. Thank you for granting us a beautiful, rain-free wedding! We considered digging it up at the reception, but decided to wait until the event was completely over. 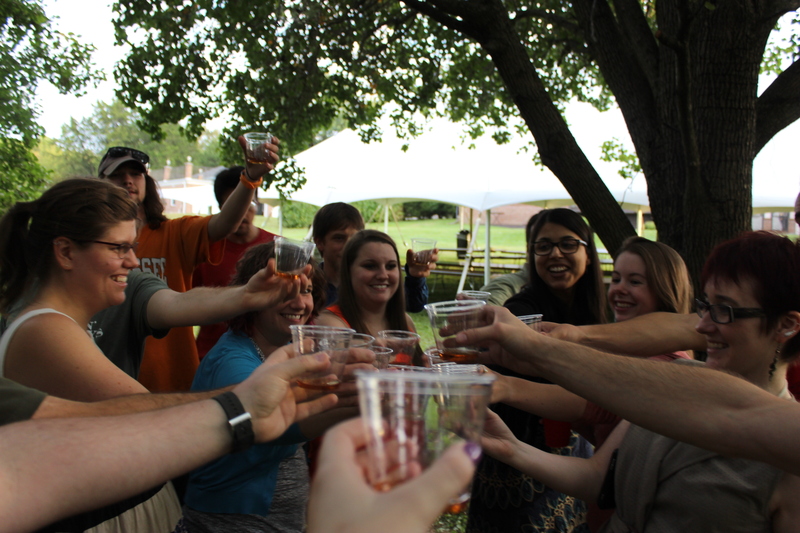 We had a leftover day the next day, so we could get in some extra visiting with all of our out-of-town guests, and that evening, we invited those who were still around to UNbury the bourbon with us.